Elegant stems of vivid pink flowers are featured on this finely made vintage silk tie, with contrasting dove gray color by Leonard of Paris. 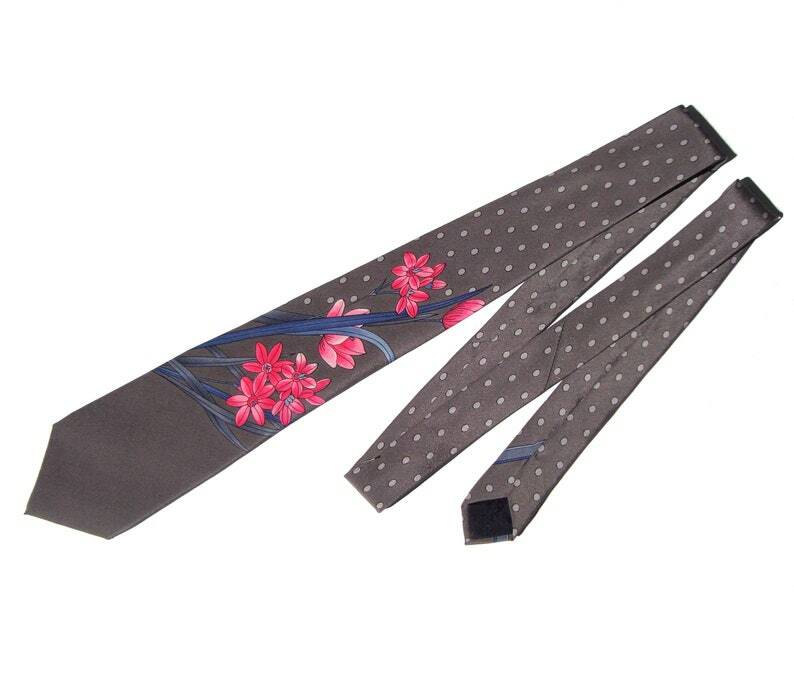 The vintage men’s necktie is comprised of a fine silk, with floral pink blossoms and steel blue leaves over shades of gunmetal gray with polka dot print. The tie is fully lined within, measures approximately 3&1/8 inches wide across the blade by 56&3/4 inches in length, has an embroidered label for “Leonard”, “Paris”, and a fabric care label which includes, “100% Silk” and “Made Italy”.